TeamMate360 Multiplier event in Varna, Bulgaria hold on 31.01.2019. 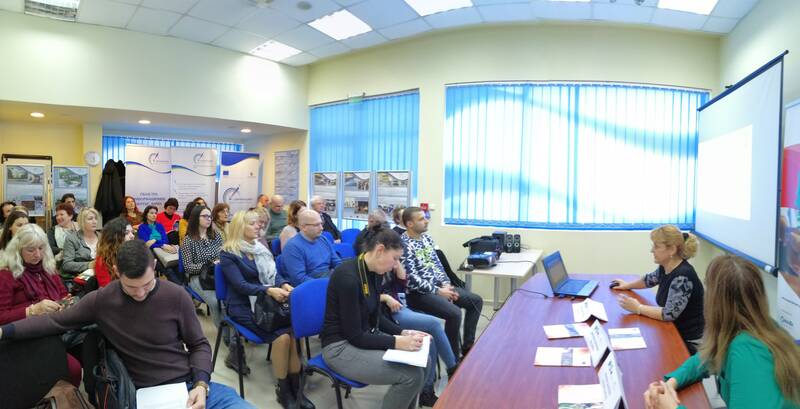 It was organized by Varna Economic Development Agency (VEDA) in cooperation with Varna Regional Agency for Innovation and Entrepreneurship. 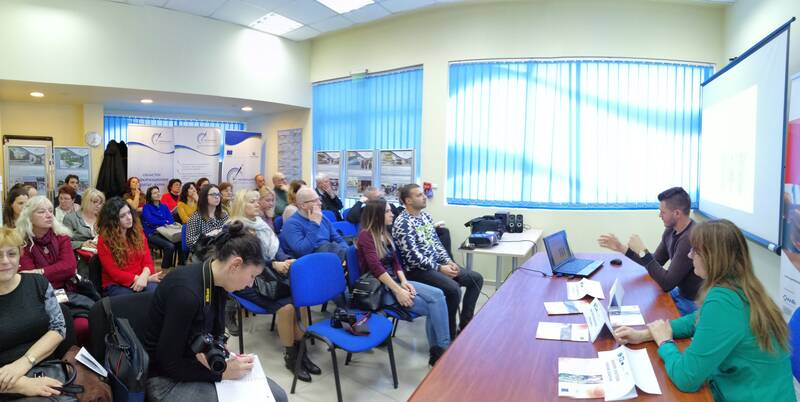 Host of the event was Varna Regional Informational Centre for EU funding. 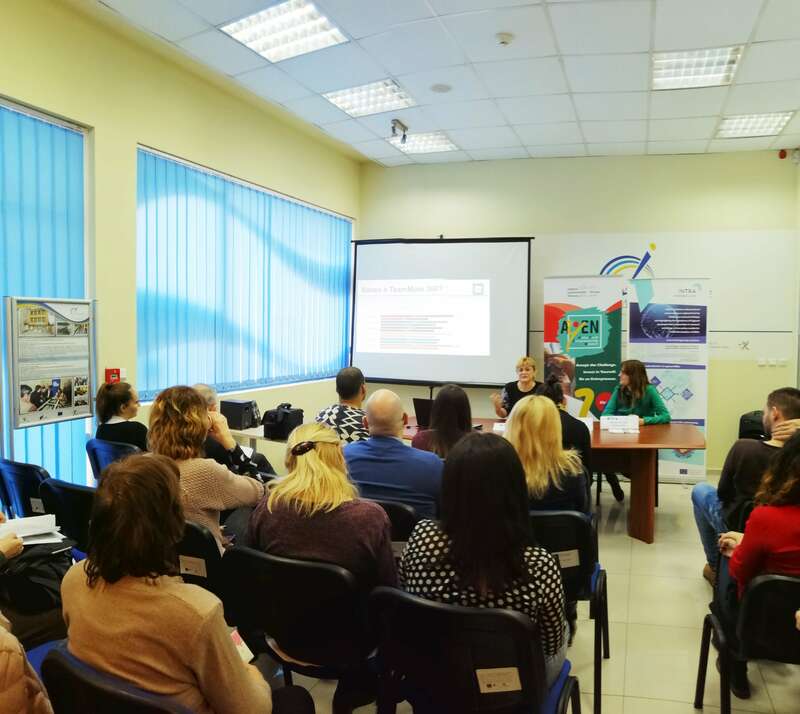 Participants in the meeting, who came from SMEs, business support organizations, government agencies, and Varna University of Economics, showed great interest to the TeamMate360 On-line Assessment Tool and other project results. To initiate capitalisation on TeamMate360 project, VEDA director presented shortly other agencies’ Erasmus+ funded initiatives during the meeting. At a light cocktail after the official part of the event, participants have the opportunities to share and exchange information on TeamMate360 and other projects in non-formal atmosphere. TeamMate project partners are finalizing the Teammate Core and Specific Skills Model based on the research conducted in October and November 2016. The development of the TeamMate On-line Assessment Tool is in progress and is expected to be finalised in April 2017 for an Alpha testing from partners. On 3rd and 4th of October 2016 in Leicester (UK) was officially launched the European project TeamMate360. The long-awaited TeamMate 360 Model has arrived and is ready to go.